Ear, nose & throat ("ENT") doctors - formerly referred to as otolaryngologists - specialize in surgical and medical treatment of disorders involving: (a) the mouth, larynx, throat; (b) the ears; and (c) the sinuses and nose. ENT doctors often focus on certain areas of otolaryngology expertise: allergies; facial surgery; head & neck; laryngology; ears; rhinology. There are just under 11,000 ENT doctors in the U.S. Otolaryngologists go to 4 years of medical school followed by a 5-year residency. Board certification can be obtained through the American Board of Otolaryngology. What do ENT Doctors do? ENT doctors are one of the most commonly used specialists treating over 20 million patients annually. Most of these patients receive treatment for minor conditions but ENTs also treat cancer, perform surgery and deal with other complex medical issues. Almost 50 million people in the United States suffer from some degree of hearing loss. Otolaryngologists that focus of ear disorders treat a range of issues including ear infections, tinnitus, and developmental conditions of the ear. Treatment options for ear disorders range from non-invasive to intricate surgery. Treatment of issues involving the sinuses and nasal cavity is one of the key practice areas for most ENTs. Disorders include allergies, deviated septum, and smell disorders. Chronic sinusitis is one of the most common health complaints affecting 35 million people each year. ENTs treat a range of conditions relating to the larynx and esophagus which impact voice and swallowing. Tonsillitis is one of the most commonly treated conditions in this area. ENTs perform over half a million tonsillectomy procedures on children every year. Our medical malpractice lawyers do not see many ENT claims. They are, relatively speaking, rare. ENTs do not account for a very high percentage of medical malpractice cases. Within the ENT specialty, however, most doctors have experienced at least one malpractice claim. A study by the American Medical Association found that half of the roughly 10,000 ENT doctors in the U.S. had been sued for malpractice in the past. For those doctors that had faced a malpractice claim, the average total number of claims was two. The overwhelming majority of medical malpractice lawsuits against ENT doctors involve claims of surgical error. 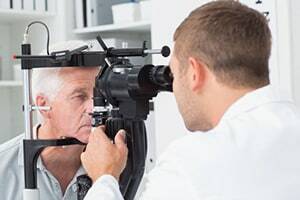 A recent report published by ENT Today estimated that 53% of malpractice claims against otolaryngologists asserted "improper performance of surgery." Diagnostic failure or delay came in distant second with 19% of all ENT malpractice claims. Endoscopic sinus surgery and rhinologic surgery were the 2 most problematic procedures. The most commonly alleged injury in ENT malpractice claims was loss or impairment of hearing. The payout average was highest for failed or delay diagnosis claims. Sinusitis, deviated nasal septum and tonsillitis are conditions that led to the most malpractice lawsuits, but these are also the conditions most commonly treated by ENTs. Below is a discussion of the various types of malpractice claims made against ENTs. The fundamentals of a surgical negligence claim against ENTs are basically the same as they are for any other medical specialty. The question is whether the ENT performed the surgery in accordance with the accepted standard of care. In some surgical cases, the error might be obvious - such as if the doctor forgets a step or leaves something inside the patient. But these types of cases are rare. Much more common are surgical error cases that involve some level of debate as to whether the standard of care was met. A surgical error case was filed against an ENT doctor earlier this year in Montgomery County. In that case, Palombi v. Metropolitan ENT, botched a facial implant procedure causing permanent vision loss to the patient. Another surgical error case was filed against an ENT in Wicomico County last year. In that case, Carpenter v. Peninsula Regional Medical Center, a young boy died after having his tonsils removed. Malpractice claims involving diagnostic negligence involve allegations that the ENT failed to correctly diagnose a condition or that there was an unreasonable delay in diagnosis. As with other specialties, failure to diagnose cancer is the most common basis for diagnostic negligence claims. Earlier this year a misdiagnosis claim was filed against an ENT in Baltimore City. In that case, Stagnes v. Ear, Nose & Throat Assoc., the ENT is accused of negligently failing to diagnose the patient's throat cancer. Below are summaries of recently reported verdicts and settlements of malpractice cases against ENTs. These cases are summarized for informational purposes only and should not be relied on to value your individual case. Charles v. Thomas (2017 - New Jersey) - $4.2 million: 2-year old patient underwent a tonsillectomy after which he began to exhibit breathing difficulties. The ENT who performed the surgery initially decided not to intubate and by the time the intubation was performed permanent brain damage had been suffered. The jury awarded $4.2 million and found ENT was primarily at fault. Berger v. Shen (2017 New York) - $1.1 million: in this ENT surgical error case the defendant ENT allegedly used excessive force while performing endoscopic sinus surgery. Plaintiff suffered permanent loss of smell and required additional corrective surgery. The jury found that the surgery was performed correctly but that the ENT's post-operative care was negligent. Damages of $1.1 million were awarded. Retiree Plaintiff v. Defendant Otolaryngologist - (2017 Massachusetts) - $1.3 million: this confidential settlement was based on allegations that the defendant ENT failed to timely diagnose patient's larynx cancer. If you think you may have a malpractice case against an ENT doctor, contact us for a free case evaluation. Call us at 800-553-8082 or click here for a free online consultation.